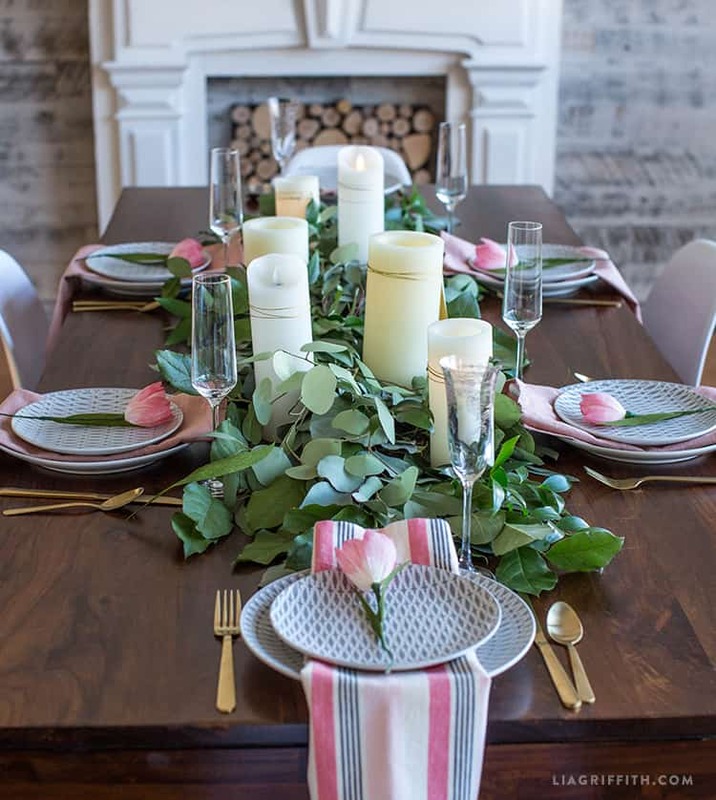 The goal of a table runner is to create a beautiful backdrop for your reception centerpieces and other decor without being an obnoxious distraction to the overall look of the table. Fortunately, there are scores of different varieties of table runners to choose from and many that you can make yourself. 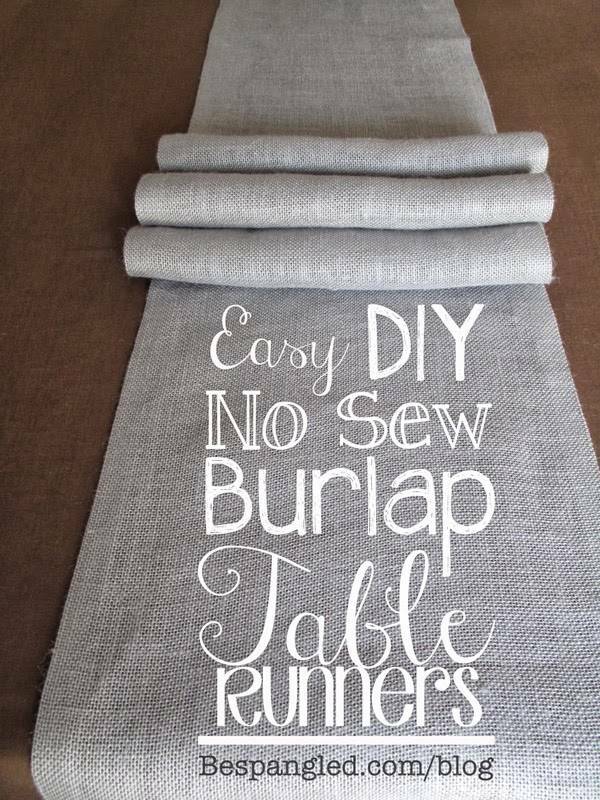 Here are 6 of our favorite DIY table runners. 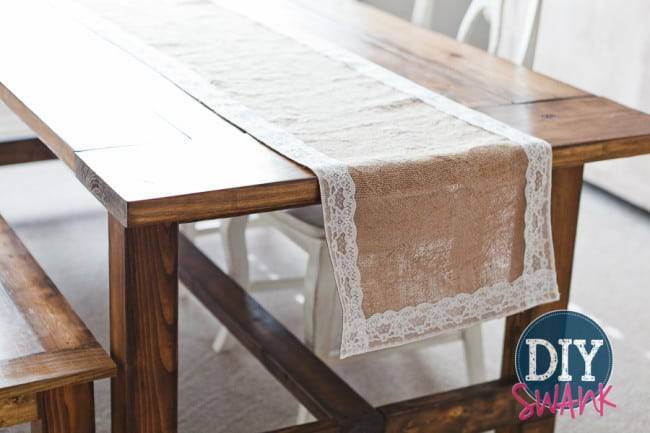 This table runner would look gorgeous in a rustic barn setting. Lay it across a wooden farmhouse table, decorate with your shabby chic decor, and you’ll have a stunning countryside look to die for. If you plan to use bright colors for your wedding, like a citrus splash theme, this black table runner will really make the color pop. The chalkboard also gives you the opportunity to write notes to your guests, or if you supply chalk, allows your guests to write notes to you. This leafy table runner would go perfectly with a Bohemian-style or nature-centered reception theme. Decorate with candles or other woodland decors for a beautiful and mystical table spread. Macamre is a type of weaving that uses knots. 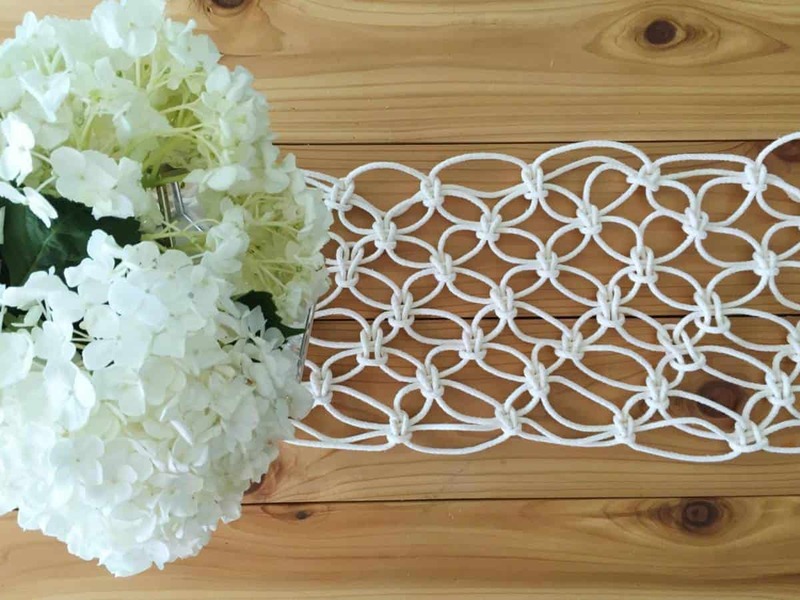 Even if you have never been good at knitting or crocheting, we recommend trying this table runner. 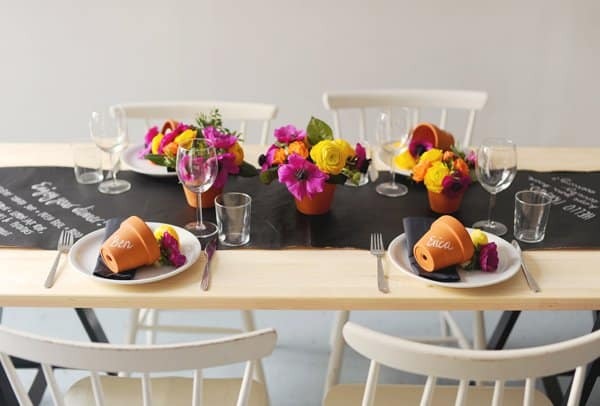 The simple design will work well with innumerable centerpiece options. This easy to make table runner is extremely versatile and would be a great addition to a variety of reception banquet styles. Your guests will love this fun summer picnic-style spread. 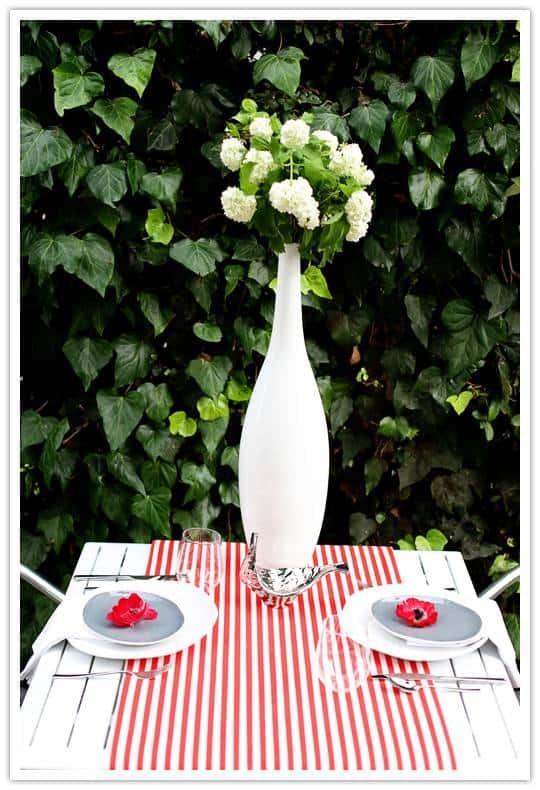 With the right fabric, this table runner can match virtually any wedding theme.